Zimmer has used marijuana for decades and has been an outspoken supporter of legalization. 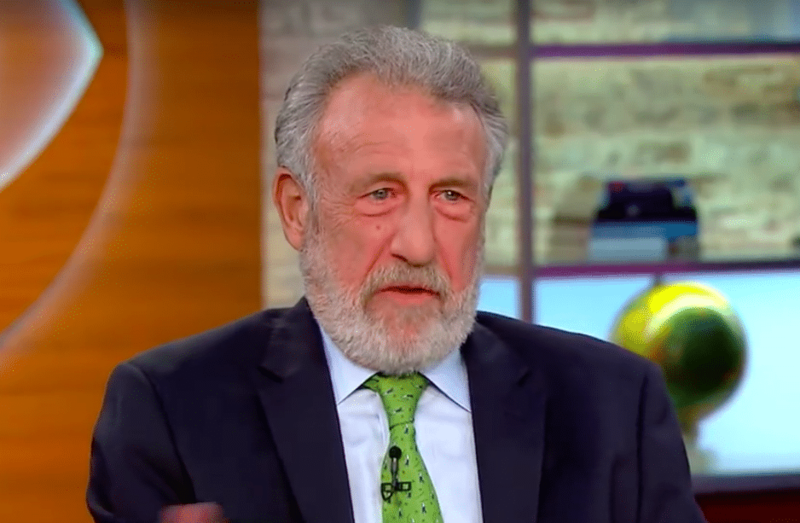 Businessman George Zimmer, who has been sober from alcohol for 35 years, says that his long-time marijuana habit allowed him to stay off alcohol. Marijuana helped Zimmer cope when he left Men’s Wearhouse, the clothing company he had founded 40 years before. He was fired from the company in 2013 due to irreconcilable differences with the board. Zimmer has been a marijuana user for decades. “I’ve been trying to do what I can over almost 50 years to try to de-demonize marijuana,” he told the Portland Business Journal last week. Now, the outspoken entrepreneur is opening up about his marijuana habit and using his finances to push for changes to marijuana laws. “It was just one of those little things that I did over my life that pissed people off,” Zimmer said about his involvement with the marijuana legalization movement. In 2010, Zimmer donated $50,000 to support a failed ballot measure for legalization in California (a similar measure passed last year). This week, he delivered the keynote address at the Cannabis Collaborative Conference in Portland, Oregon. “I think cannabis prohibition is one of the biggest cons ever perpetrated in this country,” he said in his speech. He argues that marijuana is less harmful than alcohol. “The fact is — and I mean the scientific fact — [marijuana] is less toxic and dangerous than cigarettes and alcohol, which are the main drugs in the United States,” he said. Zimmer believes the drug, which remains a Schedule I substance, has been overly demonized in American culture. His long-term use of marijuana throughout his successful career shows that people who light up are still able to lead productive lives. “I’m just following a kind of lifetime passion of mine to help correct this myth,” he said.